It is so amazing to look at your child and feel as if you’re looking at the mirror, isn’t it? Such is the work of genes that sometimes you get to revisit your childhood through your kids. You wonder how your children have same taste in food and toys. Some kids bear a striking resemblance to their parents, so much that it becomes quite apparent whose kids they are! Bollywood is full of good-looking people and needless to say, many of them get those looks from their parents. Let us look at these 7 Bollywood daughters who totally remind us of their moms. Here we go! 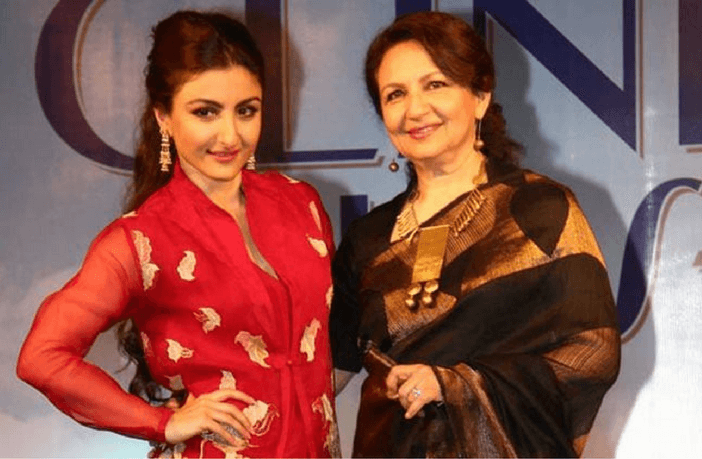 The beautiful Bengali actress Sharmila Tagore has given her breathtaking looks to her daughter Soha Ali Khan and the mother-daughter duo looks simply stunning. Soha has the same charming smile and long pointed nose as her mother. In other words, Soha is a complete lookalike of her mother Sharmila. Sara’s thick eyebrows and shapely lips are inherited from her mother Amrita Singh. On seeing Sara, one is instantly reminded of the young Amrita Singh in her first movie – Betaab. Sara has long black hair and a glowing complexion just like Amrita. We may just see her on the big screen soon. 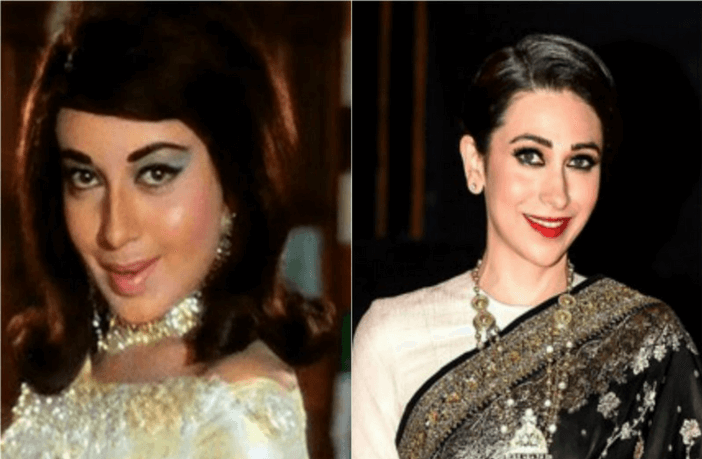 Former actress and daughter of Randhir Kapoor, Karishma Kapoor resembles her mother Babita a lot, to say the least. Babita is a yesteryear actress who played various roles and commanded great success during her time. Karishma too had a flourishing career before she stepped away from the limelight to raise a family. Karishma’s sister, the Bollywood diva – Kareena Kapoor looks more like her father though. The Bollywood hottie Alia Bhatt has inherited her looks from her mother Soni Razdan, more than her father Mahesh. The picture speaks for itself as one can easily spot an uncanny resemblance between the two. She has the feminine looks and sharp features of her mother. 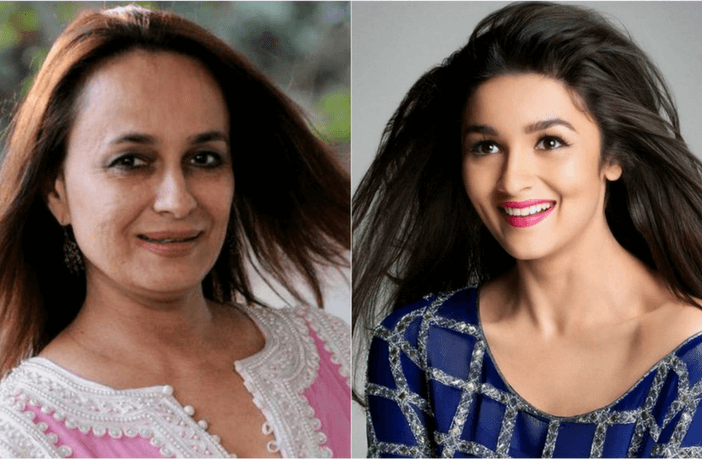 The Bollywood hottie Alia Bhatt has inherited her looks from her mother Soni Razdan. One can easily spot an uncanny resemblance between the two. She has the feminine looks and sharp features of her mother and she looks beautiful with her cute smile. The gorgeous daughters of Sarika Thakur, Shruti and Akshara are exact replicas of their mother and look ravishing just like her. The resemblance among the three is simply remarkable. Shruti is a mini version of the alluring Sarika, isn’t she? 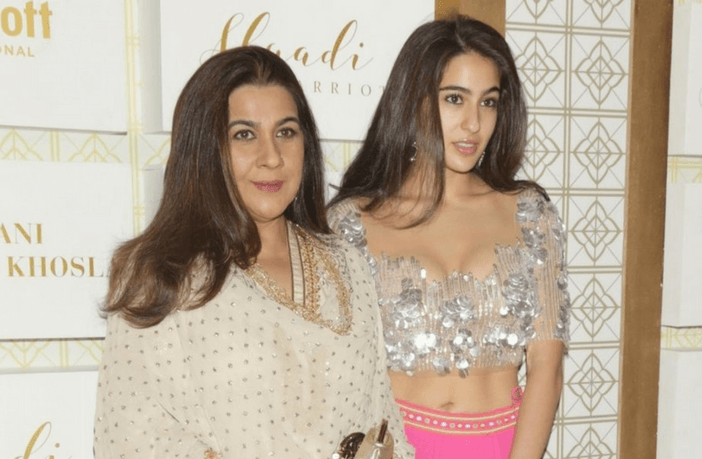 Sridevi Kapoor’s daughter Jhanvi looks prepossessing just like her mother and is soon going to get launched in movies. Sridevi’s death was really a sad turn of events which left the entire nation heart broken. 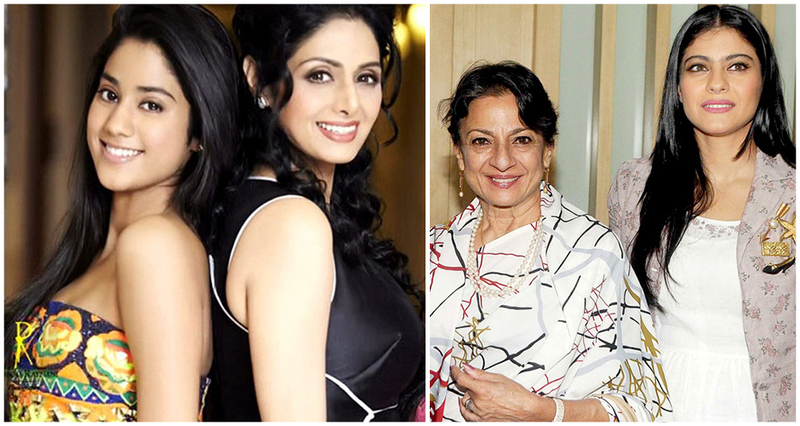 If she has also inherited her mom’s acting skills, fans will see Sridevi’s legacy being lived through her daughter. This mother-daughter duo don’t just look alike; they also possess the same acting skills and have given several wonderful performances. Kajol makes you travel back in time and she shares the same passion as her lovely mother Tanuja – when it comes to playing characters on screen. A mother is especially delighted to see the resemblance between herself and her kids. After all, mothers are more emotionally attached to their kids and they take care of their kids even when they are all grown up. Sridevi for instance gave up spotlight willingly to ensure that her daughters could have a normal childhood while Amrita Singh mostly raised Sara as a single mother. So who does your daughter resemble more, her mother or her father?